This article was written by MetroTek Geek from Metrotek Solutions, a provider of Computer Help in the DC area. As part of the Windows Server 2008 launch, Microsoft officially ushers in the era of true Windows server virtualization with Hyper-V. It used to be that virtualization was only found in the datacenters of companies like Amazon and their EC2 computing cloud. Now, Microsoft brings virtualization to the rest of us. Windows Server 2008 and Hyper-V come at the perfect time. With processor architecture shifting away from increasing speeds and towards multiple cores, virtualization will be a significant server-space trend in the near future. Multiple Servers. One Box. Lots of RAM. Hyper-V is a type-1 (native) hypervisor, meaning it runs at the root level with direct control over the server’s hardware. Virtual operating systems run independently of each other as partitions just above the Hyper-V stack. With server virtualization, you are essentially running multiple servers on one physical box. 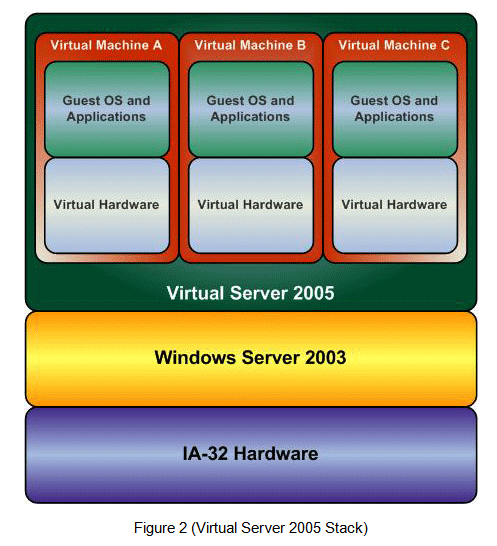 Previously, the only server virtualization product available from Microsoft was Virtual Server 2005 which ran as a type-2 (hosted) hypervisor over a macro operating system like Windows Server 2003. This meant the Virtual Server 2005 hypervisor did not have direct hardware access. Guest operating systems within Virtual Server 2005 were essentially threaded applications running through a macro-kernel. Hyper-V replaces the operating system layer and runs as a true type 1 micro-kernel hypervisor. You may have noticed that Hyper-V requires a 64-bit environment. Not surprising given the 4 GB memory limitation found in 32-bit architecture. Four gigabytes divided over multiple instances just doesn’t cut it anymore. Fortunately, Windows Server 2008 Enterprise and Datacenter editions with Hyper-V can support up to 2 terabytes of physical memory and 64 gigabytes of memory per virtual instance. That’s a lot of memory! Virtualized servers will benefit almost immediately from the ability to quickly migrate from one physical server to another. 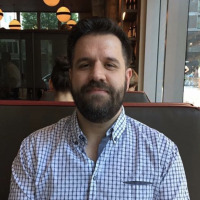 Microsoft Hyper-V with Quick Migration can save the state of a guest virtual operating system to shared storage, move the storage connection from one server to another, and then restore the image to the new server. Quick Migration works in tandem with the Windows Server 2008 Enterprise and Datacenter Clustering service to provide high availability and rapid disaster-recovery capabilities for your clustered servers. Whether it’s planned (maintenance) or unplanned (disaster recovery), the use of virtualization technology increases server uptime and availability. The virtual appliance is a promising new development available with virtualization. Vendors can package an operating system and all necessary software to run their product into a virtual “black box” image. This image can then be deployed on different machines even if the configuration is different. Virtual appliances can reduce the installation, configuration, and maintenance costs associated with managing and deploying multiple layers of software. The Microsoft Virtual Hard Disk (VHD) test drive program is a great example. From the VHD website, “The Microsoft Virtual Hard Disk (VHD) format is the common virtualization file format that provides a uniform product support system, and provides more seamless manageability, security, reliability and cost-efficiency for customers. The VHD format captures the entire virtual machine operating system and the application stack in a single file.” As virtualization becomes more prevalent, we’ll begin to see even more innovative and useful virtual appliances. Server virtualization represents the next logical step in efficient server-space progression. As servers begin shifting to multi-core architecture and 64-bit platforms, virtualization should become an increasing factor in optimizing server workload performance and reducing costs, especially as server proliferation becomes a growing problem. What was once strictly within the realm of datacenters and development labs is now becoming IT reality. Although there are some performance issues to consider, you might find the advantages of virtualization are well worth the investment.